The demo of PES 2019 has finally arrived, and is available on the stores of the Playstation 4, XBox One and PC Steam. The first impression, but it is obvious that we could say every year is that it is the best Pro Evolution Soccer ever. Like every year, lack of licenses, it has always been so. This year, however, it is missing a few less. In fact, they bought some licenses minor leagues more of Russia and Scotland. Also, unfortunately, missing the Champions League, and it is not a problem. Among other changes include a new look of the menu, definitely more modern. The style of the game is always fantastic. Dribbling are sliding and easy to control, the passage of the ball is accurate and pull the ball is satisfactory. Also have taken a cue from FIFA and have added the substitutions dynamics: it will be possible to replace one or more players to your liking without having to go to the menu, stopping the game. In the end, it should be the same as PES fun each year. Depends on the manufacturer Konami, now, insert the right changes to the game to make it more durable. For example, the Master League has always been a lot of fun but there are things to improve. It would also be great if lanciasserò the game with the teams already updated fully. 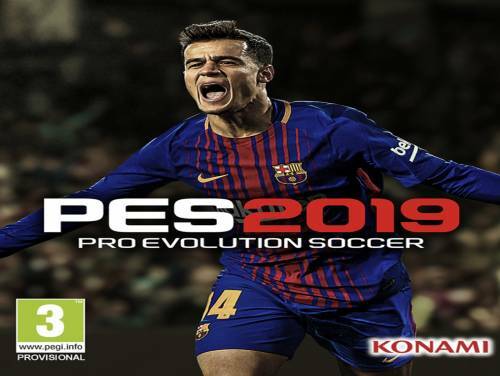 Watching this video there is one question in mind, however, that every year all the video game players of world soccer are: "it is better to PES 2019 or FIFA 19?". Our opinion is that Pro Evolution Soccer is much better than FIFA at the moment in which you enter in the field. The gameplay, the details, the sounds and the smoothness of the PES are unbeatable. Unfortunately for Konami, FIFA wins hands down when it comes to services, game modes, longevity, multiplayer, and of course, licenses. When you are not in possession of the ball, you can issue orders to the players controlled by the CPU, such as deciding on the type of marking or the type of pressing and taking out the goalkeeper. The release date of Pro Evolution Soccer 2019 is on August 30 on PC, Steam, PS4 and Xbox-One. We apocanow, as always, we will be more than ready to provide you with the tricks and secret tricks for this beautiful game of football. Check All the news regarding Pro Evolution Soccer currently inside our archive of videogames news.